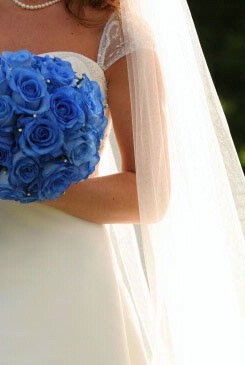 Rose bridal bouquets are simply irresistible and are synonymous with wedding bouquets. Their class, elegance and ethereal beauty makes them simply irreplaceable on weddings. Roses are the first choice for wedding bouquets for every bride. The beauty and presence of a rose cannot be substituted by any wedding flower. From altar decorations, centerpieces to cake decorations, roses are found everywhere in wedding decorations. However, the most honored position for roses is in a bridal bouquet. 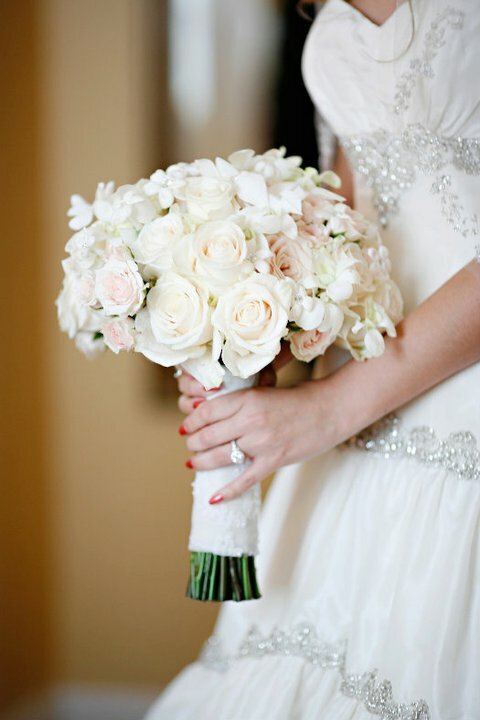 A bridal bouquet is as much an eye candy to the guests as the bride herself. Needless to say, brides go to any length to get their bridal bouquets made in the most beautiful and unique way possible. They are also willing to stretch their wedding budget when it comes to bridal bouquets. Rose bridal bouquets are perfect for the wedding because roses are the ultimate symbol of love and romance which signify a marriage. Roses are found in almost every shade imaginable to your mind and distinguishable to your eyes. From pristine white to mysterious black and from passionate red to royal blue, you have a shade of rose for every bride. White: White is the color of purity, peace and chastity. White roses are an epitome of class, elegance and subdued beauty. A white rose bridal bouquet with a filling of baby's breath flowers can complement any bridal dress. Red: Red rose symbolizes love and passion, which are the fundamentals of a marriage. Can you think of any other color that can be more apt than red rose for a bridal bouquet? Pink: Pink roses define femininity and coyness. They also stand for gentler love and sympathy. Pink roses bouquets are apt for winter or fall weddings. Yellow: Yellow reflects cheerfulness and friendship. These bouquets are apt for a sunny natured bride. You may also have yellow rose bridesmaid bouquets to depict your special friendship with your bridesmaids. Orange: Orange is the color of flamboyance, enthusiasm and exuberance. They are ideal for autumn weddings as they truly reflect the myriad energetic hues of nature. Blue: Shades of blue such as lavender or deep blue have a mystic air around them. They are also associated with class and enchantment. Usually, a combination of white and red roses is most popular for weddings as it symbolizes unification. Pink roses are yet another favored choice for wedding bouquets. Roses look equally mesmerizing in any flower arrangement. You have an option of getting your wedding bouquet from a florist, but be ready to shell a small fortune. Alternatively, you can make your own rose bouquets by tying a bunch of fresh roses together. Use a floral tape to tie the flowers and cover it with a satin ribbon. Cut the flowers in varying height for a multidimensional effect. You can use roses of single color or you may use multicolored roses. Roses look great in combination with almost every other flower. Yet, the combination of roses and calla lilies is particularly breathtaking. Calla lilies are available in as many different shades as roses. 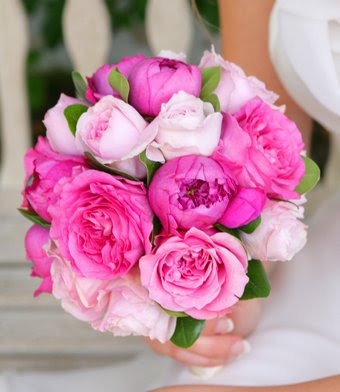 Roses can also be combined with exotic flowers, if you are willing to splurge on your bridal bouquet. Rose bouquets can be filled with baby's breath, green hydrangeas or black ivy berries. No matter what color you choose for your bridal bouquet, you are sure to leave your guests spellbound.